Bio-Rad's Antigen unmasking fluid is a heat induced, epitope retrieval system. The 'universal' formulation presented at pH8.0 is suitable for use with most antibodies and gives excellent preservation of tissue morphology.  Bio-Rad also offers two other versions, an acidic and basic form, which may be of value for use with antibodies that do not work well with this reagent. These buffers may dramatically increase staining intensity but may also have an effect upon tissue morphology. Store at room temperature. Should this product contain a precipitate we recommend microcentrifugation before use. 2. Pre-heat retrieval buffer to 92oC *. 3. Place slides in buffer and incubate 10 minutes at 92oC *. 4. Allow to cool for 5-10 minutes. 5. Rinse in distilled water or PBS, proceed with staining. * N.B. Optimal unmasking is a function of time and temperature. Temperature (range 90oC-100oC) and time (5-30 minutes) should be determined by each investigator. Chang, J.F. et al. (2011) A possible rare cause of renal failure in streptococcal infection. Nephrol Dial Transplant. 26 (1): 368-71.